Search engines are best way to get organic traffic on any blog or website, you can get a lot of free visitors on your blog via search engines, as we all know about Google, this is the biggest search engine in all over the world, you can easily submit your blog to Google for attract traffic in your blog, you also can manage your targeted keywords using Google webmaster for betterment of you blog progress. You must know about some important steps before and after link submission. If you are a new blogger and you would like to submit your blog to Google than you have to follow some steps, this is a important factor because your blog will only be appear in Google search results after this submission process. 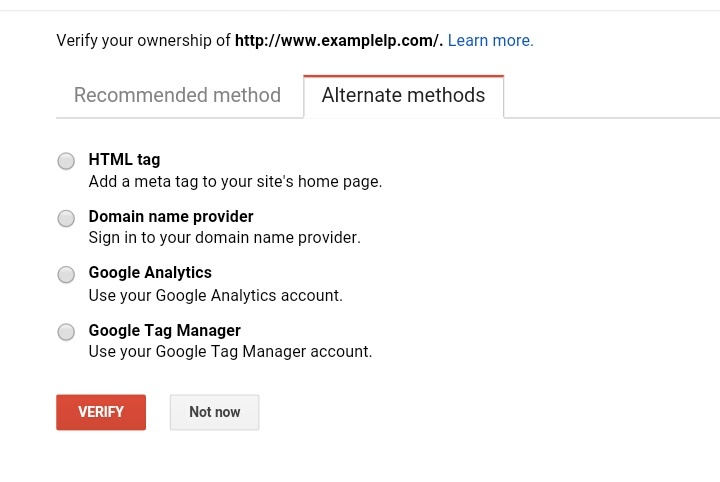 This step is very important to get visitors for free of cost, your blog or website will only appear in search results after submission of URL in Google webmaster. 1.Copy your blog link in your clipboard. 2. Open Google webmaster tools in any browser of your pc or smartphone. 3. Click on sign in option under menu section at left side , login with your current mail account. 5. Paste copied URL in this section and submit your URL. 7. Copy the html code given after clicking the option. Paste copied URL after head and click on save theme. 9. Now back to Google webmaster page and press save button and verify your ownership. 10. After this your blog will able to be appear on google search results. For confirmation of this process you can search your blog on google.